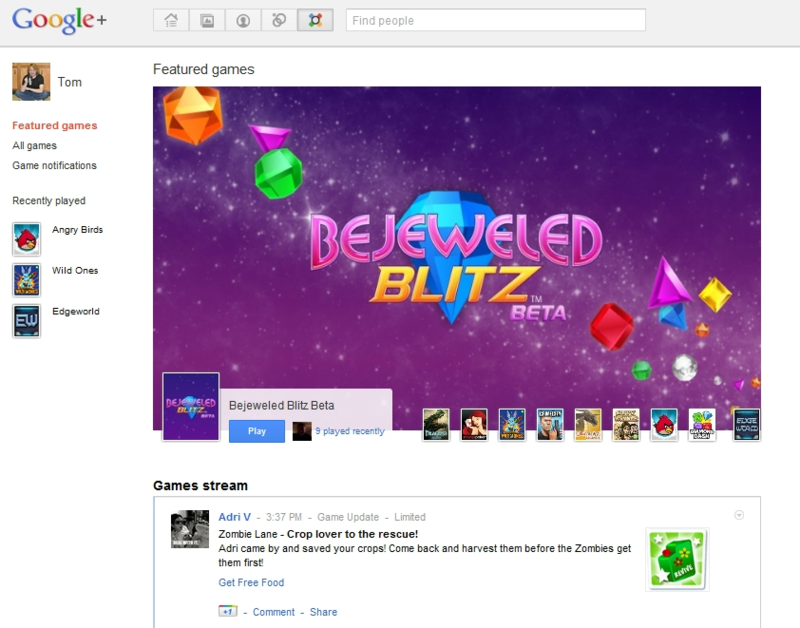 Just spent a bit of time playing around with Google+ games, and I have to say, I'm really enjoying them! I don't ever see any game status updates, I don't get notifications about games, I don't get spammed about games, UNLESS I'm in the "Games" tab. I love gaming, I really do, but I don't use the Google+ Social Network to play games, I use social networks to socialize, the games are a nice bonus, but I don't want them to be the main feature. The Games Tab makes this simple and elegant. One of the main reasons I'm loving Google+ right now. And beyond that, the games are actually pretty good! More to come later!